In today’s economy it is readily apparent by looking at the numbers of homes for sale and the amount of apartments which have no vacancies that people are opting for smaller environments to live in. A lot of these people such as myself have pets such as dogs, cats, etc. and in order to ease the living expense they are choosing to relinquish ownership of their beloved pet. The sad fact is that many apartments require a “pet deposit” for our mammalian friends and may even require a higher deposit for “water filled furniture” such as an aquarium. Whether you’re moving into an apartment to save money or if you’re already living in an apartment and have decided to acquire a new pet this is an undertaking which can be somewhat overwhelming. There is such a large selection of pets, both in pet stores and shelters that it can be difficult to decide which pet to choose. Obviously, I am going to encourage you to purchase a reptile pet. This is not to say that I dislike mammalian pets in anyway. I own or rather I’m allowed to share a residents that I pay the rent on with my two cats. Come to think of it I paid a hefty pet deposit on the cats. However, for ten reptile pets I didn’t pay any sort of deposit fees. I have always closely examined the pet policy of any place that I am interested in renting from. There are places; typically rare in my personal experience, that have very strict policies of owning any type of pet at all. For the most part though apartments have a statement which says “pets” are restricted to certain weights and or breeds. I have as yet to find any apartment anywhere which stated outright that they would not allow “reptiles”. To the best of my knowledge this is due to the general presumption that most if not all persons are responsible enough to not allow their pet reptile to roam free throughout the apartment. 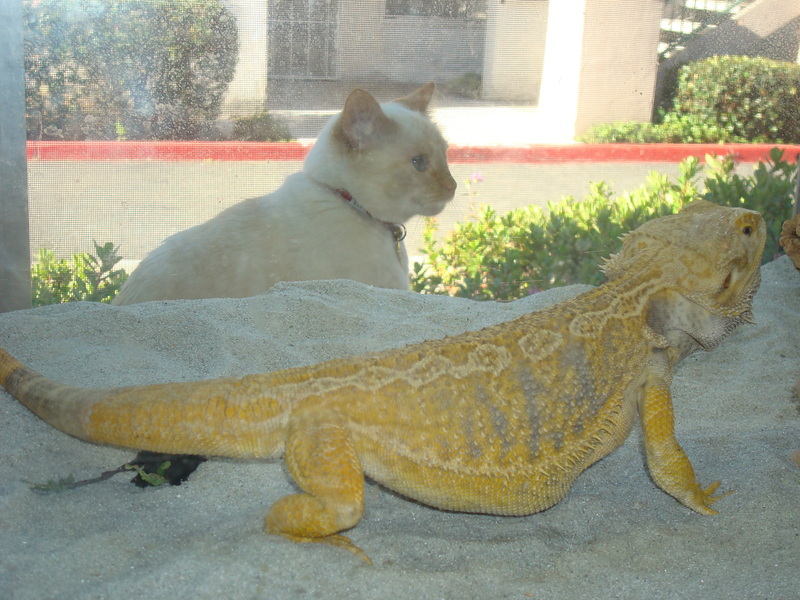 For more on the general rules of apartment living and reptiles see my post. I am presuming you went to the other page and read up on the general rules if not; I really encourage you to do so. I will wait (tick, tock, tick, tock,) OK, so now you have gone and read the general rules so we can move on. Why are the general rules so important? Basically they give you an overall insight into what is required by most reptiles in captivity. Now then we must also consider the “human” requirements. There are several aspects of owning a reptile that people seem to forget, especially when there looking at the cute little reptile or insect in the pet shop or reading about it in the magazines. Here are a few of the most common questions that should be answered. 1) How much space will my reptile need and how much does that leave me? When moving from a house to an apartment there is typically a significant reduction in living space that is now available with them there are certain standards. Most persons are not interested in living in an 1800sq foot space and giving up half of that to their pets. Therefore none of the reptiles outlined in this site will ever have an enclosure that exceeds 24 sq feet. This means a length of 6’ and a width of 4’. The tallest an enclosure will be is 6’. There are many reptiles to choose from when selecting a new pet and some could be stressed by being placed in a high traffic area such as Chameleons Chamaeleonidae sp. The more “hands-off” pets should be placed in lower traffic areas of the home as this will reduce stress which could lead to overall health implications later. 3) Where should I store cleaning supplies etc? Any cleaning supplies or anything for that matter used in or around your reptile should be kept away from places which come into contact with human food. Also if you clean your enclosures in the bath tub which if you live in an apartment you will most likely do make sure and use a bleach to clean the tub or shower area after you are through. 4) What if I like my apartment cooler? If you keep your home below an average temperature of 76˚ F you will be required to purchase larger heating elements during the winter months in order to facilitate proper temperatures for your new pet reptile. There are some reptiles which can tolerate lower temperatures and those that require higher ones so make sure and do the research about your pet prior to purchase. Most of the reptiles that are purchased today come from either typically tropical environments or desert ones. Keeping reptiles below their prescribed temperatures for any length of time will eventually cause stress and sickness and can lead to serious health issues if not done properly. The above are all good questions that I have heard over the years that I have worked within the industry. Well here are some generalized answers but for more in depth information I would look into the overviews and the other posts within the blog to get specific information on the species you’re interested in. I’m ready for My New Pet! Given that you have asked yourself and the family about owning a reptile I am presuming that they have all agreed that this would be an adventure worth taking and so we’re off to the local pet shop to buy our first reptile right? They both like the birds! you killing a reptile due to misinformation. See I told you I was going to be brutal. I have worked in the Pet Superstores and the local independent shops as well. In my experience they both make an effort to train their employees in the proper care of the animals they sell. However, it is true that most employees are there to make the sale that’s the bottom line. They have little to no actual knowledge of the animal they are selling and will give generalized information based on care sheets written by someone who has never the kept the species they are selling. I would recommend you examine all the options and availability of the reptile pet you choose and not select one just based on the fact that it looks cool. This is one of the biggest mistakes commonly made in the reptile industry when acquiring a reptile, amphibian, or insect pet. 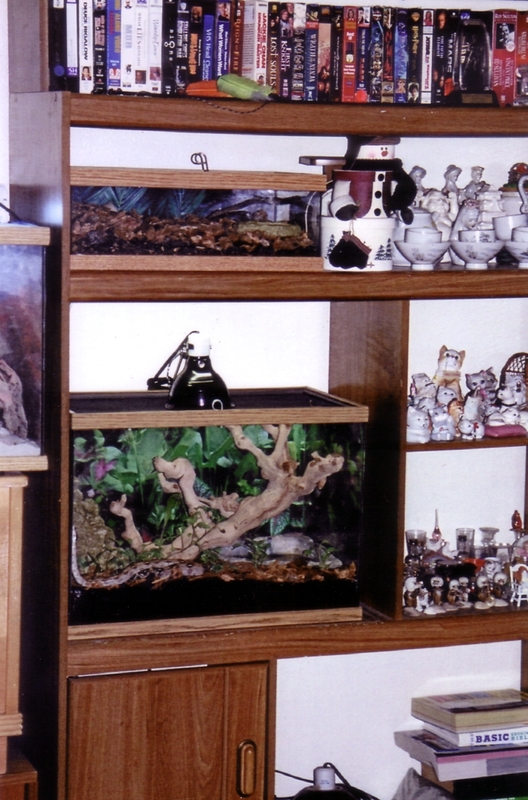 There are literally hundreds of reptile, amphibian, and insect species that can be kept as pets within an apartment setting. This site is the only one dedicated to helping you select, care, and enjoy those species which you will choose to keep. From our clutchmates to yours thank you for taking the time to learn before leaping. Your best bet is to do your own research which obviously you’ve already started because you’re reading this site. Do internet research on the species you want to keep, but also purchase a book or two on the one you like this can only give you more information than you need and that’s never a bad thing. To help you further I have a pet selection page over at I Want A New Pet by answering 5 questions you can quickly discover what type of reptile, amphibian, or insect pet you may be interested in. For further information in depth on specific species I again encourage you to look under the overviews and specific species accounts listed elsewhere in the site. If you don’t find the one your looking for let us know via the contact page us page and we’ll pick our brains and come up with the same quality information on captive reptile care that you have come to expect from us. Chances are if it’s bred in captivity we’ve cared for it somewhere along the way. I Want A New Pet! So the time has come and either you or maybe your child has requested that you and your family make an addition to the family of the “Inhuman Kind”. Now before you go off running and screaming I can help you if you’ll answer a few questions, I will guide you to the best reptile, amphibian, or insect pet that you or your family are looking for. Question 1: Do you want the new pet to have legs? Then look into Lizards, Arachnids, Amphibians, or Testudines. Question 2: Do you want the new pet to have four legs? Then I would suggest looking into Lizards, Amphibians or Testudines. Question 3: Do you want the new pet to have eight legs? Here you would be looking at Arachnids. Question 4: Do you want the new pet to have more than eight legs? In this case you’d definitely be looking into either Millipedes or Centipedes. Question 5: Do you want to handle your new pet? In this case I would suggest Snakes, Lizards, or Arachnids. As these are all pets that can be handled to some degree. Question 6: Do you want your new pet to be active during the day? This again opens the door to all the genre covered here. Snakes, Lizards, Testudines, Arachnids, Amphibians, and even the Millipedes and Centipedes. Question 7: How much room do you have available? If you have a smaller space then I would recommend that you look into the smaller species of Geckos, Snakes, Arachnids, Amphibians as well as Centipedes and Millipedes. Question 8: Are you willing to feed bugs to your pet? A lot of the species mentioned here in this site are known as insectivores or bug eaters. A few are herbivores such asTestudines and Millipedes. While the majority of snakes are carnivores. Question 9: Are you willing to feed rodents to your new pet? If you’re willing to feed rodents then the first thing I mention is that you do not feed live rodents. Rodents should only be purchased as frozen and then thawed completely before feeding. Question 10: How much time per week are you willing to dedicate? All pets have requirements which must be met to remain healthy in a captive environment. The time dedication to these animals can be anywhere from an hour a day to a few hours a day. Please make sure that you are willing to dedicate the time that is needed to maintain your newly acquired pet prior to bringing the new pet home. You’ve already taken the first step by reading this site. I encourage everyone to do further research than just this site and read more than one book prior to bringing your pet home.